Fiat money is a currency that lacks intrinsic value and is established as a legal tender by government regulation. Traditionally, currenciesForex Trading - How to Trade the Forex MarketForex trading allows users to capitalize on appreciation and depreciation of different currencies. Forex trading involves buying and selling currency pairs based on each currency's relative value to the other currency that makes up the pair. were based on physical commodities such as silver and gold, but fiat money is based on the credit of the economy. The value of fiat money depends on supply and demand and was introduced as an alternative to commodity money and representative money. Commodity moneyGuide to Commodity Trading SecretsSuccessful commodity traders know the commodity trading secrets and distinguish between trading different types of financial markets. Trading commodities is different from trading stocks. is created from precious metals such as gold and silver, while representative money represents a claim on a commodity that can be redeemed for money. China was the first country to use fiat currency around 1000 AD, and the currency then spread to other countries in the world. It became popular in the 20th century when US President Richard Nixon introduced a law that stopped the conversion of U.S. dollar into gold. Currently, most nations use paper-based fiat currencies that only serve as a mode of payment. Unlike the traditional commodity-based currencies, fiat currency cannot be converted or redeemed. It is intrinsically valueless and used by government decree. 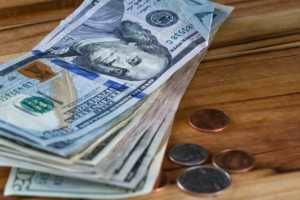 For a fiat currency to be successful, the government must protect it against counterfeiting and manage the money supplyFiscal PolicyFiscal Policy refers to the budgetary policy of the government, which involves the government manipulating its level of spending and tax rates within the economy. The government uses these two tools to monitor and influence the economy. It is the sister strategy to monetary policy. responsibly. Fiat money originated from China in the 11th century, mainly in the Yuan, Tang, Song, and Ming dynasties. In Tang Dynasty (618-907), there was a high demand for metallic currency that exceeded the supply of the precious metals. The people were familiar with the use of credit notes, and they readily accepted pieces of paper or paper drafts. At the time, the dead were buried with a coin to pay for their passage in the next world. The shortage of coins forced people to change from coins to notes. During the Song Dynasty (960-1276), there was a booming business in the Tchetchuan region that led to the shortage of copper money. Traders started issuing private notes covered by a monetary reserve, and this was considered to be the first legal tender. Paper money became the only legal tender in the Yuan Dynasty (1276-1367), and issuing of notes was conferred to the Ministry of Finance during the Ming Dynasty (1368-1644). The West started using paper money in the 18th century. American colonies, France and the Continental Congress started issuing bills of credit that were used to make payments. The provincial governments issued notes that the holders would use to pay tax to the authorities. The issuing of too many bills of credit generated some controversy due to the dangers of inflation. In some regions like New England and Carolinas, the bills depreciated drastically, and there was a hike in commodity prices as the bills lost value. During wars, countries would turn to fiat currencies to preserve the value of precious metals such as gold and silver. For example, the Federal Government of the United States turned to a form of fiat currency referred to as “Greenbacks” during the American Civil War. The government halted the convertibility of its paper money to gold or silver during this war. In the early 20th century, the government and banks had promised to allow the conversion of notes and coins into their nominal commodity on demand. However, the high cost of the American Civil War and the need to rebuild the economy forced the government to cancel the redemption. The conversation of paper money into gold was later allowed, and the Bretton Woods agreement fixed the value of one troy ounce of gold to 35 United States Dollars. However, in 1971, the then United States President, Richard Nixon, introduced a series of economic measures including canceling the direct convertibility of dollars into gold due to the declining gold reserves. Since then, most countries adopted fiat monies that are exchangeable between major currencies. Fiat currency is not supported by any physical commodity, but by the faith of its holders and virtue of a government declaration. Paper money acts as a storage medium for purchasing power and an alternative to the barter system. It allows people to buy products and services as they need without having to trade product for product, as was the case with barter trade. People use the money to enable trade and develop society, as they progress towards the future. Due to its ability to store purchasing power, people can make plans with ease and create specialized economic activities. For example, a business dealing with mobile phone assembly can buy new equipment, hire and pay employees and expand into other regions. The value of fiat money is dependent on how a country’s economy is performing, how the country is governing itself and the effects of these on the interest rates. A country experiencing political instability is likely to have a weakened currency and inflated commodity prices, making it hard for people to buy products as they may need. A fiat currency functions well when the public has enough confidence in the currency’s ability to act as a storage medium for purchasing power. Also, it must be backed by the full credit of the government that gives a decree and prints it as a legal tender for financial transactions. The most important feature of fiat money is the stability of its value unlike the commodity-based money like gold, copper, and silver. The use of fiat money became popular in the 20th century as governments and banks moved in to protect their economies from the frequent busts of the business cycle. Commodity-based currencies were volatile due to the regular business cycle and periodic recessions. The central banks can print or hold paper money as they may need, giving them greater control over money supply, interest rates, and liquidity. For example, the Federal Reserve’s control over money supply and demand enabled it to manage the financial crisis of 2008 from causing greater harm to the U.S. financial system and global economy. Although fiat money is viewed as a more stable currency that can cushion against recessions, the global financial crisis proved otherwise. Even though the Federal Reserve has control over money supply, it was not able to prevent the crisis from happening. Critics of fiat money argue that the limited supply of gold makes it a more stable currency than fiat money that has an unlimited supply. Assets ClassAsset ClassAn asset class is a group of similar investments. Different classes of investment assets – such as fixed income investments - are grouped together based on having a similar financial structure, and because they are typically traded in the same financial markets and subject to the same rules and regulations.